The Unswept Room is a dazzling collection of poems that project a fresh spirit, a startling energy of language and rhythm, and a moving, elegiac tone shot through with humour. From poems that erupt out of history and childhood to those that embody the nurturing of a new generation of children and the transformative power of marital love, Sharon Olds takes risks, writing boldly of physical and emotional sensations seldom confronted in poetry. 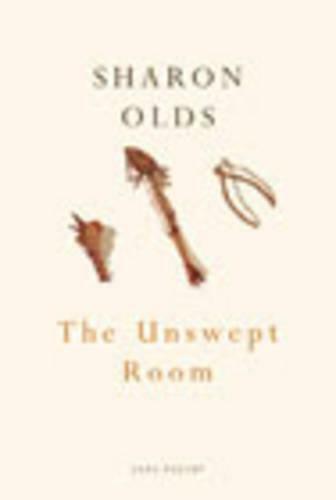 These are poems that strike for the heart, as Sharon Olds captures our imaginations with unexpected word play, sprung rhythms and the disquieting revelations of ordinary life. Writing at the peak of her powers, this greatly admired poet gives us her finest collection.